Happy and healthy kids are part of the foundation of any great community, and City Park is committed to giving your family a safe and fun place to keep your kids active. The park is filled with a variety of playgrounds and play structures suited for kids of all ages. Best of all? After a day of playtime in City Park, your kids will crash at bedtime. Imagine all of your kids’ favorite characters from stories and rhymes carved into colorful, larger-than-life sculptures and you have a good picture of Storyland. You’ll find the Three Little Pigs, the Old Woman Who Lived in a Shoe, Pinocchio and the whale, a dragon slide and more. The Stanley Ray playground, located near Popp Bandstand and Morning Call, is a classic playground with slides, swings, and tunnels designed specifically for kids ages two to five. 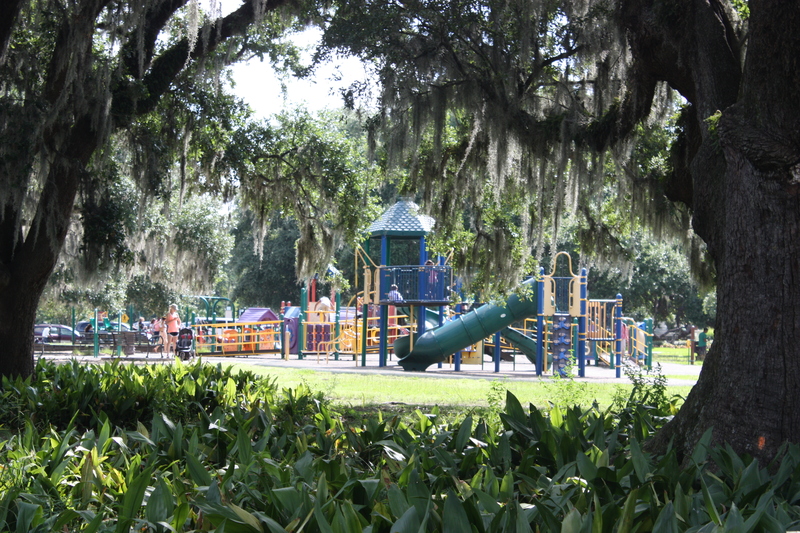 Also nearby: City Park’s famous live oaks, where your kids can climb or you can snap a great family photo. The Starbucks Playground, located near shelter one off of Stadium Drive, is great for kids between the ages of five and twelve. Parents will find plenty of benches under the shade of the oak trees here. One year ago today, Hurricane Isaac tortured the Caribbean and the Northern Gulf Coast. Not only did the hurricane pass over Southeast Louisiana but it was a slow moving storm - making the ordeal last longer and longer. Everyone was shouting at the storm to move along but it wouldn't listen and continued to pour rain and whip its strong winds. 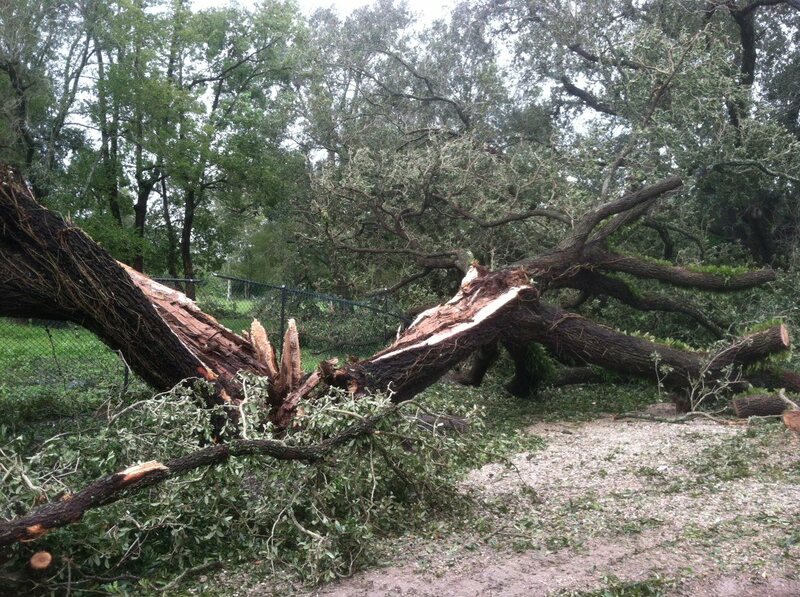 Park buildings were spared major damage but some Park equipment was lost and many trees were left leaning, uprooted, or completely destroyed. Through the hard work of Park staff and volunteers, it was possible to reopen the Park only days after Isaac’s initial landfall. Hi, this is Earl, the park’s new Volunteer Coordinator! Our most recent volunteer project took place on the August 12th with the park hosting 200 LSU Medical School students. The students donated their time and effort to several areas of the park. 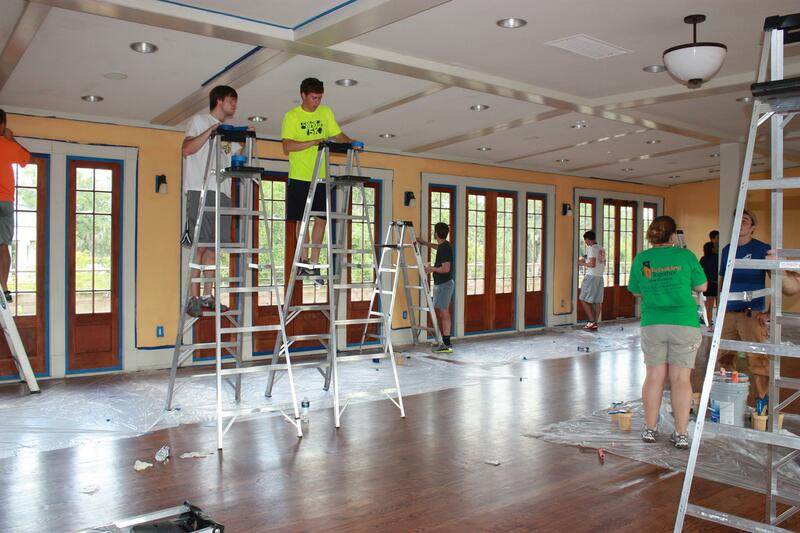 The volunteers mulched three-quarters of a mile of walking trail in Couturie Forest, painted the locker rooms and bathrooms at Pan-American and Tad Gormley stadiums, and painted the entire Parkview Terrace room in the Casino building. They were hardworking, dedicated volunteers and I was thrilled at the progress they made over the course of four hours. The forest is in great shape now that the LSU students widened the trails and opened up the vistas along one of the lagoons, so I highly recommend a walk or jog in the forest in the near future! Our next volunteer event is Super Saturday September 7th at 9:00am. Come to the Volunteer Center at 1009 Harrison Ave with a water bottle, sunscreen, and some sturdy shoes if you’d like to join us! 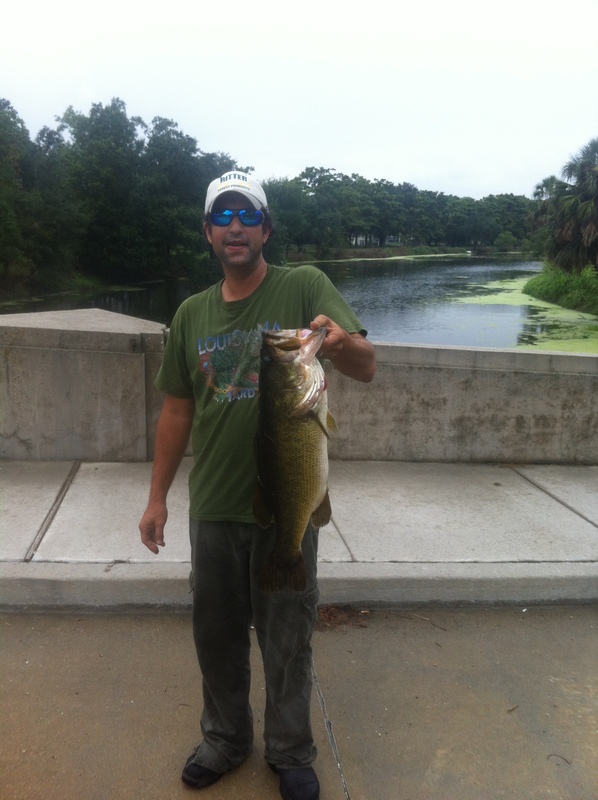 Tim Zissis & his Record Breaking Catch! Tim Zissis loves to fish in City Park because it brings back memories of his childhood – fishing with his father and younger brother starting more than 35 years ago. Zissis’s father passed when he was only 16. The now the 44 year-old spends time at the park because he says it’s quality time with his dad. While Zissis enjoys making friends with other fishermen enjoying the park’s waterways, the New Orleanian has also used fishing as a way to rehab, exercise, and gain strength after a life-threatening infection that almost caused his leg to be amputated last year. On August 14th, around 3:30 p.m., Zissis, an avid City Park angler, cast his homemade plastic frog along the bank when a monster bass hit it. Zissis fought the bass for about five minutes but the large fish spit the bait loose. Zissis knew this was his dream bass – one of the biggest he had ever sparred. When the fish got away, he literally fell to his knees, convinced his trophy was gone. He regained his composure and made another cast. All of a sudden, Zissis felt his line jerk. A bass smashed his bait, again, four inches off the bank. This time, success! He knew it was the record when the fish jumped three feet out of the water. He was amazed to see the size of the bass! Zissis rushed over to City Park administration to show it off with hopes he broke the 9 pound City Park record. He did – by .05 pounds. After 35 years, Zissis has accomplished one of his life’s goals – catching a record-breaking bass in honor of his father.